Overall, eBid earned better grades from sellers than they did last year and nudged up one slot to 8th place in the 2018 Sellers Choice Awards for Online Marketplaces, even though the UK-based company lacks the robust sales of larger marketplaces. In January 2018, EcommerceBytes surveyed over 10,000 online sellers and asked them to rate the marketplaces on which they had experience selling. An introduction to the Sellers Choice survey along with a summary of the overall ratings can be found here, along with links to results for each of the 10 online marketplaces included in the survey. Overall, eBid earned better grades from sellers than they did last year, and nudged up one slot to 8th place in the 2018 Sellers Choice Awards for Online Marketplaces. Sellers generally like many aspects of this UK-based site that operates internationally. However, many merchants complain of few sales, though it appears sellers in Europe may have a different experience from those in the US. “eBid lacks customers, especially in the USA,” one seller wrote. Some survey respondents said it took them an investment in time to ramp up their site before they saw results. But numerous sellers said after paying a one-time fee, they kept their eBid stores open and were satisfied with whatever sales came in, given the low commission fees. eBid gets relatively high marks from merchants for personalized customer service, low listing costs and free image hosting for listings. However, according to many respondents, eBid still lacks the robust sales that drive merchants to embrace a platform and allow it to gain traction. One seller said the eBid model works well for certain types of collectibles, such as postcards, where being able to list a large quantity of listings and pay low commission fees is important. Very Very low fees (2% FVF). One-time charge of $50 and I now have 5 stores on eBid. 15 free pictures per listing. I’m now making more money than I did on eBay. There’s a learning curve for new sellers. Once it’s mastered, the site is VERY easy to use. The support staff is excellent and responds quickly to problems. There is also an excellent forum with many members who are quick to help with questions or problems. Great customer service from (unscripted humans) and the site is very good to use. My sales improved in 2017, but still need more customers visiting. eBid furnishes stores and pictures free and only takes a very small % when an item sells. Great site, but needs more advertising to bring customers in. Low rates for FVF. Good support available from real people. Ebid is great place to sell, although it is for the seasoned seller with some experience, at least 1000 sales under your belt. Great fee structure, no hand holding whatsoever, great sellers spot although not for the uninitiated. Great place, although Bonanza is my home. I started selling on eBid December 2014. I took the chance and went with the Seller+ subscription. It took an entirely different learning curve and a lot of work and patience before I got my first sale. After a while though, I eventually got my investment back and have made much much more that it back since then. I actually have an eBid sale waiting for shipment right now as I write this! Traffic could be better, and they would really be doing themselves a favor if they got a serious marketing campaign going. Despite its setbacks, the max 3% FVF and the option to open up to five stores with no restrictions or selling limits make it a worthwhile endeavor. I have sold on eBid since 2008 and it’s a good site. I make money as a hobby seller there, but do not depend on it to pay bills. It has potential if used correctly. eBid works well for large numbers of collectables. Sort of the only way to sell postcards unless they are really rare and sought after. The fees are extremely reasonable and the customer service is second to none – you get a response from a human being (within a very short time) who actually talks to you and considers your problem rather than reads from a script! Owners are very friendly and helpful – and do not object to the little old-fashioned “hobby sellers” (like me) as well as the commercial big ones. Only down side for me is they do not pump billions into advertising (although they do pay the Google fee to show up in Google Shopping). This means a lower foot fall, but the buying/selling process is pain free and cheap fees. The only reason I did not give eBid all 10’s was because, as a seller of vintage and collectibles my items only appeal to someone who is looking for that exact item or type of item. eBid could use more exposure in the US, as it seems the UK sellers do much better because eBid is based in the UK and is more well known there. Customer Service is top notch!! Contact via e-mail is answered by a real person and any concerns I have had, have been taken seriously and addressed. Security is a high priority for eBid and that is very reassuring in this age of internet scams. FVFs are no more than 3% max and not charged on S&H. And there are NO charges at all until your item sells. 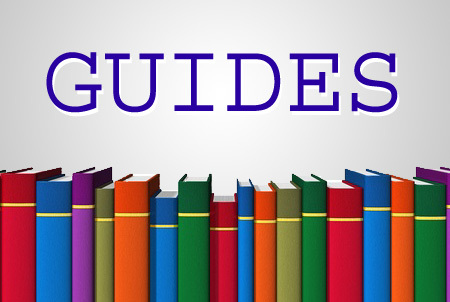 Listings can be set to “auto-relist” up to 10 times and that is a huge time saver. There are many more good things I could say about the site but I’ll end by saying that I’m very happy to be selling on eBid! Customer service is excellent and selling is profitable due to low cost listing fees. Paid for lifetime membership years ago. No listing fees, 2% commission, free relists, 15 free images, easy to list. No other online selling venue offers the above. EBid is a good Selling Venue but has very limited traffic. Sales are very slow. the top sellers have 5/10/15000+ listings. I have been selling on eBid.net for over ten years and still consider it to be the best value for money selling site on the net. The final value fees have not gone up since I first joined and they don’t charge fees on your postage money either. With the lifetime membership I don’t pay any listing fees. So if I sell something I get most of the profit. The only downside is that because they don’t charge huge fees you have to do most of your own publicity but your items are sent to Google Shopping for more exposure. In the last half of 2017 there has been little news from management but they have promised a newsletter soon. 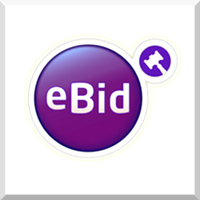 eBid support remains brilliant and will go out of their way to fix any problems for you. I would still recommend eBid.net to everyone, but don’t expect instant results you have to do a bit of work to get yourself known and build up your customer base. 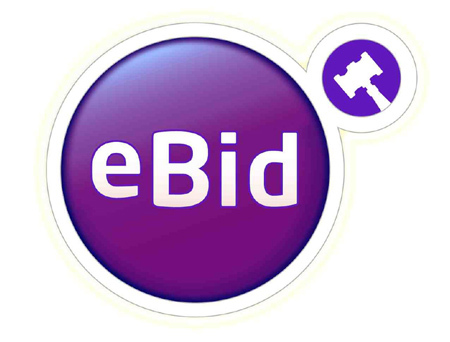 eBid is a lovely site but it can be hard to understand and very confusing to use as a seller or buyer. I have had many great items listed at times, with no views, and those same items sell quickly on eBay or my own personal online shop. I really can’t figure out what the secret is to getting any sales on eBid when I easily get them elsewhere. But it’s well run and the owners/managers are visible on the site in many ways. Questions are answered quickly. After-sale info is a bit hard to find sometimes and a little confusing when you don’t know what all the abbreviations stand for and there is no key anywhere handy. But it’s a good site in so many ways. Just wish my items got views and sales more often. I could never rely on eBid as my main selling resource…just not enough traffic despite how many listings are on the site. Maybe it’s more popular in Europe. I don’t know! But I am a Lifetime Seller on eBid, so I will keep at it now and again. However, it’s hard to spend a lot of time on a site and never have enough sales to make it worthwhile despite your best efforts in all the right ways. There’s no real help available to figure out all these things. The forums are hard to find info in that is actually related to what you are looking for sometimes. But as I said, the owners/managers are visible and do answer fairly quickly if you contact them with a question. Not sure the audience size is that large for Ebid because I have very few sales there. I like their listing description editor the best because it is the largest. Their calculated shipping is easy to use as well. Although very easy to use, actually managing a sale is virtually non-existent! It appears that most sales are between forum users and the odd buyer who happens across your listing via Google but that is it! Over 11 years listing on eBid and have only managed about a dozen sales with 1000’s across other platforms in comparison. This site provides more views per listed item than most other similar sites but the sales never materialize. Very disappointing. Ebid is primarily a European market and US seller don’t do well there. It’s cheap, but nothing from nothing is still nothing. Sadly eBid need more buyers and more advertising to bring in the buyers. Certain items sell here, e:g stamp, pottery, but the things I sell don’t. I love EBID.Net, however, I don’t sell much on there. I have a lifetime membership, so there are no additional charges but it isn’t worth my time. A real pity and I have no suggestions for improvement. Just a sad story. This is the poorest site I have ‘sold’ on. There is no advertising so the footfall is very poor. All ‘rave’ reviews are from forum regulars who have been asked by the owners to leave good feedback after a spate of poor reviews. This is dishonest when getting people to sign up to the site. Those with the highest number of positive feedback on the site are either those who participate in the monthly charity auction, thereby buying from one another and leaving positive feedback, or those selling very low value items such as 10p postage stamps. 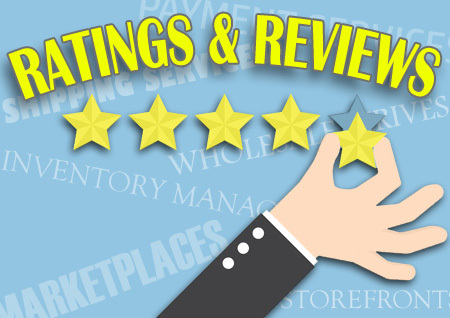 We thank all readers who took the time to rate the marketplaces. If you have comments about the Sellers Choice Awards, please feel free to post them below.